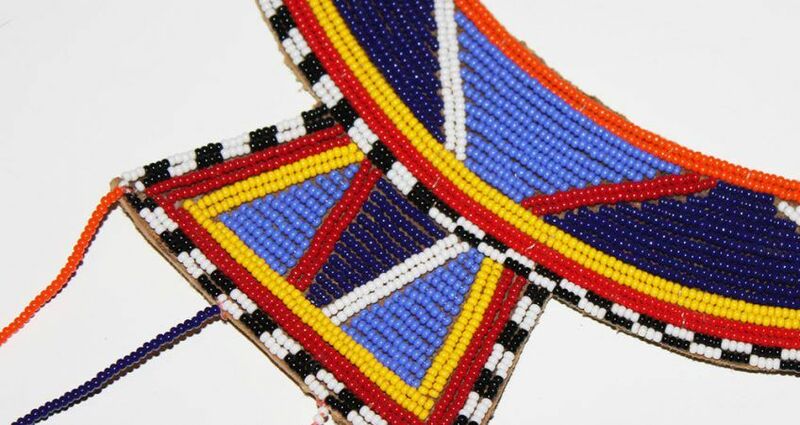 These fascinating, multi colored pieces of jewelry come from the Maasai tribe of Tanzania. Decorated with beads of many colors which include red, green, blue, yellow, orange and white make up these wonderful adornments for a Maasai bride. Maasai women will wear a very elaborate and heavy beaded necklace on their wedding day and to make her beautiful. The necklace worn will signify her age; more colorful beads will signify that the bride is from higher status.